Quite a few teddy bear makers joined me in making crochet squares this year. 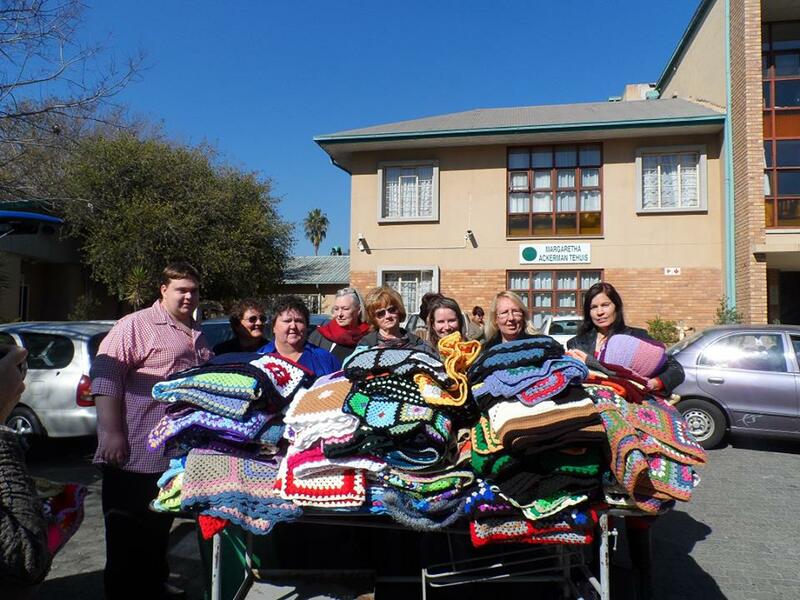 The squares were joined into blankets by a group of volunteers. Today was the big day! 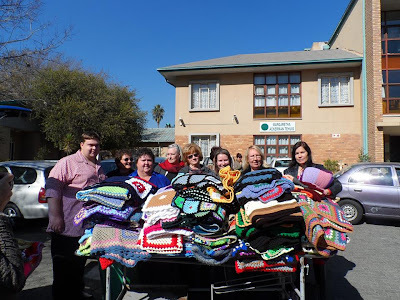 200 Blankets delivered to the Margaretha Ackerman Home for elderly. 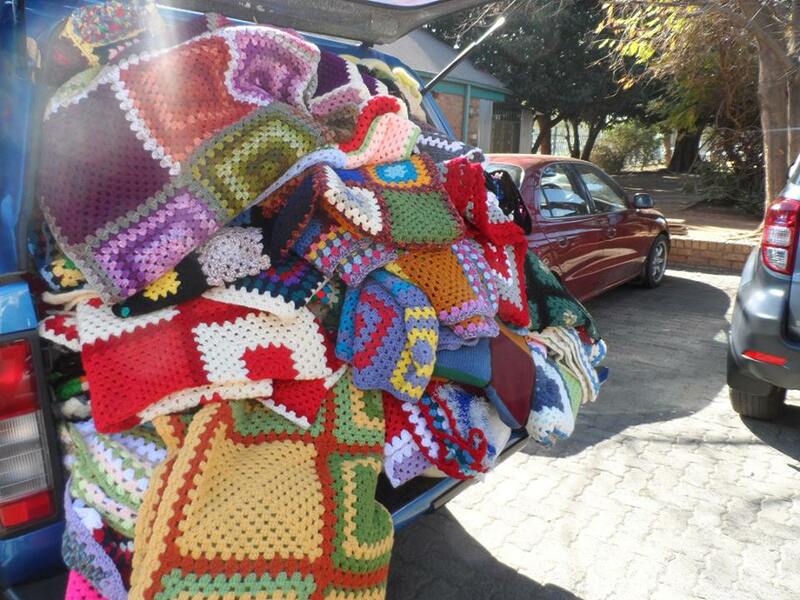 A BIG THANK YOU to all the ladies who contributed squares this time around. We will do the same thing for a different facility again next year this time. 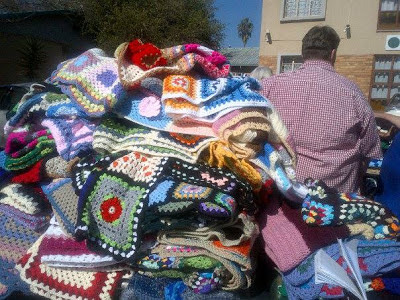 If you would like to get involved by donating double knit wool, or by crocheting some squares, let me know. It is never to early to get started!